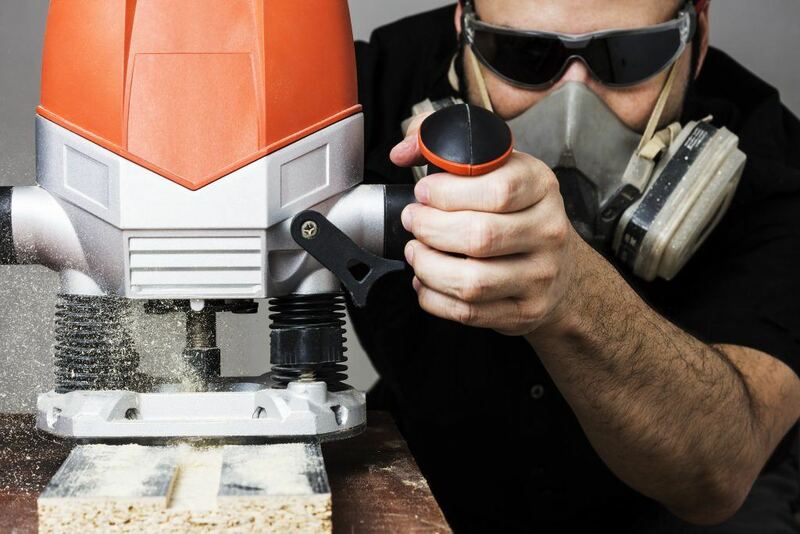 Plunge routers are in fashion these days because of the results they provide in several carpentry and woodworking projects. I particularly like these tools because woodworking is a constant hobby of mine and I like my cabinet doors, and picture frames nice and clean. And because I’m very particular with the results, I would settle for no less than the best plunge routers. If like me, you’re also a perfectionist, then we are on the same page when it comes to choosing the best plunge routers. These tools are quite versatile as they provide you with more precision and control while cutting on a material’s surface and it can do a lot more. Versatility is the best thing here since like me; you’d be working with a lot of projects. But here lies a possible cause of confusion. Since there are a lot of models out there with almost the same capacity but different features, how do we know which ones are the best? Well, you don’t have to worry about that because our review will narrow your choices to the top 5 best plunge routers in the market today. You can also refer to our tips on how to choose the best plunge router on the latter part of this section. The DEWALT DWP611PK features a 1.25 horsepower motor and is certainly a good top pick in this list. It’s a durable device that makes use of its motor power to perform the most difficult and toughest tasks. It can change speeds that range between 16,000 and 27,000 rpm. The model’s adjustment ring captured my curiosity because of its capacity to control small depth changes of up to 1/64” for the fixed base. The plunge base integrates a fine adjustment rod for accurate depth setting. Wrench bit changes can be done comfortably with the tool’s large, spindle lock button. I was also amazed by the spring-loaded release tabs that enable fast base removal. The motor also transitions fast and easy in between plunge and fixed bases. The motor is housed with an aluminum cover, and the base construction means that you can use the tool for a very long time. The product has an additional opportunity particularly the lighting LED that offers you the visibility throughout the entire task. 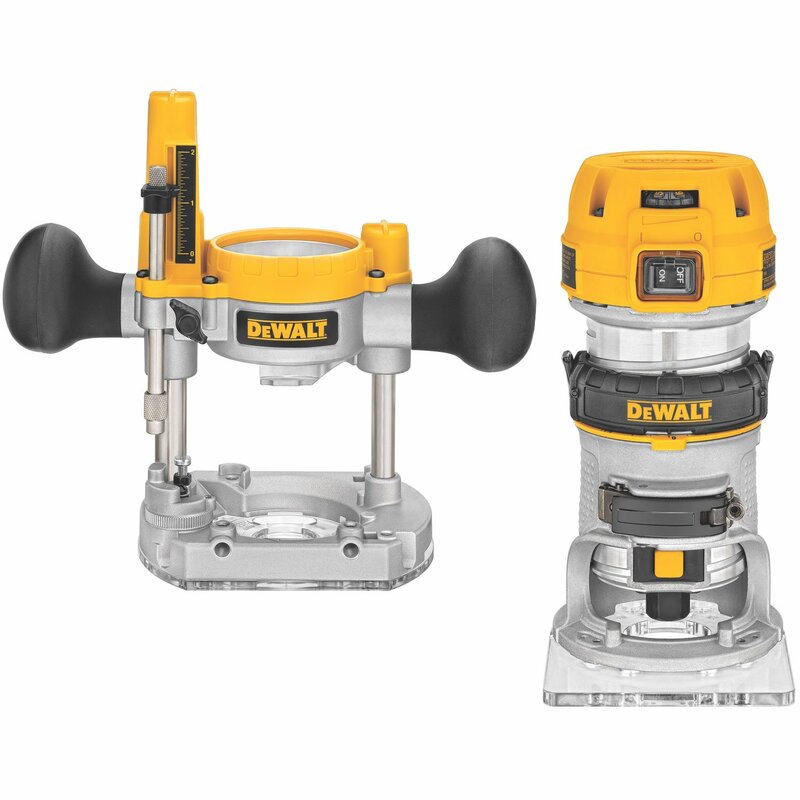 We recommend the DEWALT DWP611PK Max Router Torque Combo Kit because it is a reliable and transportable tool. 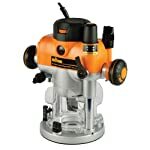 The tool’s 1-1/4 HP will provide sufficient power to your tasks and projects, and the base is easy to change. Finding the ¼ shank bits is a breeze. You’d also love the LED lights. 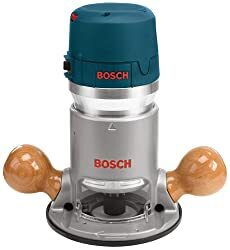 Second on this list if the Bosch Router Power Tools 617EVSPK, which is a reliable and strong product name in terms of this type of device. The product looks a bit different from your regular router, but it is still great and effective. It features a 2.5 horsepower motor as well as a wide speed range for your convenience. What I really love about the product is the Constant Response Circuitry that enables you to maintain a steady speed while cutting, resulting in a clean, precise cut. The offer has more items that you may find helpful. Several tools will provide you with the best experience with your wood. 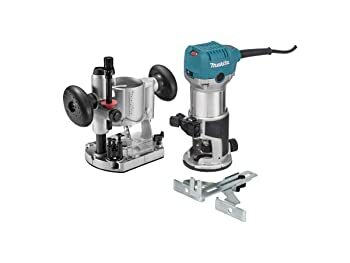 I am also quite impressed with the variable speed dial and soft-start that keeps the speed steady under load and the quick clamp system on each side has a fixed base for adjusting bit height over the router table makes centering precise and accurate cutting easy. The Bosch PR20EVSK Colt Router is a dynamic tool that is perfect for custom carpentry, mortising hinges, cutting deck planks or laminate flooring, dovetailing and many other professional and DIY jobs. It packs power in a small, sturdy device while enhancing comfort and precision. The Makita HP Router Kit is no doubt a tool that is to be listed here. It excels with its depth adjusting system which enables the user to adjust the depth according to his preference. Its HP electric motor can adjust speeds (10.000-30.000RPM) making it applicable for a variety of tasks and projects. Its Makita’s design together with its new rack provides maximum stability and comfort while in use. This tool contains a speed monitoring system. It maintains the speed even when under a certain load. It ensures smooth and even cutting or trimming. What I love best about the Makita is that its base has a high-visibility feature that enhances cutting precision. I also like that the motor’s case is made of aluminum even though the tool weighs roughly 10 pounds. Still, the tool’s bottom part is quite durable and applicable for semi-professional projects. The Makita Compact Router Kit is a versatile tool that delivers with precision for its compact size. The 1-1/4 maximum horsepower with the plunge base is engineered for precise routing applications. This tool is good for detailed cutting projects. Hitachi KM12VC Router Kit is a product that is to the point and features an 11 amp motor with variable speed. It comes with dual plunge facility and fixed base routers. You can easily work with any type of router. With 11 amp motor, you’d get more control and precision on several tasks and projects. Changing the base is also a breeze, and you can easily make minor depth adjustments. The tool also has a speed control that enables you to maintain equal rotational levels in every minute each time you operate it. And I love that the tool doesn’t make too much noise since it allows me to work in the best environment – I like working at night time when it’s peaceful. The handle’s ergonomic style allows me to work with ease. Arguably, the product has features comparable with the other products, but note that it also has its unique features. It has an ergonomically designed handle, for instance, that will allow you to work with ease. The Triton Dual Mode Plunge Router has a distinctive button that improves work with the plunge towards the fixed base work. There’s a micro-winder that helps in fine depth adjustments and making more precise work. You can select the most appropriate speed for routing from the different speed options. A controlled start helps ensure that no energy is wasted in operation. There’s an encasement that protects the user during the cutting. The multi-functional fence being used in this operation comes with a fantastic hand-held control that helps in making circular cuts. Triton routers are among the most dynamic tools when it comes to precision. 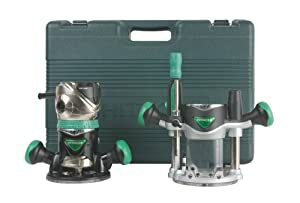 You’d get good control on the tool, and the pinion depth adjustment and patented rack guarantee the precision in cutting or trimming. It is also safe to use. The variable speed on a router is a crucial feature that you ought to have. It provides you with the choice to have varying speeds, where each speed achieves a different result with a specific accuracy. Tiny bits cut clean at middle to high speeds. Large bits require a dial down to slow speeds for safe use. With the variable speed, simply twist the dial and you are good to go, regardless of what bit you have to make use of. The electronic feedback is an attribute that will aid you to maintain your device’s durability as well as sustain its competence and efficiency. Essentially, it means to measure loads of balance with your output torque. Thus, during a heavy cut, the motor will not stall or labor, and the power output still feels quite the same. This feature is one you will not entirely appreciate unless you have utilized an older router with no intricate electronic feedback circuitry. You can truly focus on the method as well as the way your cut is progressing with EFC. A router will usually blast up to its full speed once you switch it on without the soft start. This noise can be quite terrifying, and that power surge might even jerk that router in your hands, particularly with a huge bit in a chuck. It is not a great way to work into your cuts or, in general, recover from your fears about routing. When a router has a soft start, you will experience a moment or period of pause once you turn it on, and gradually, the router gently speeds up to its preset speed. This feature is a standard with the majority of new routers that includes EFC. It is a subtle and nice feature to include into handheld routers. A lot of routers need two wrenches for a changing bit. One holds the motor shaft while the other tightens or loosens the collet. And with a spindle lock, you push a pin that’s spring-loaded or use a locking collar to hold in position the motor shaft, so the wrench you’d only require is one intended for the collet. This feature is a handy detail on plunge routers, where you cannot take out the motor to acquire good access to the bit. It isn’t a critical feature, but it certainly takes your knuckle-busting and a bit of hassle out of your bit changing. If you happen to be like most woodworkers, then you’d know that one of your routers will spend its remaining days drooping under your router table. Two new features can make your table routing more convenient and precise. Purchase a router that enables you to change cutting height from over the table using a handle, knob or crank. It certainly beats bending over to nip the depth setting. Seek a router that is made to extend the collet over the table so that you can alter the bits without raising the machine. ATA-made machines will often include both of the excellent enhancements. A medium-sized router will certainly do better and cover way more base than a trim one. This is a machine with 1.75 to 2.25 horsepower that needs a two-handed operation with a plunge- or fixed-style base. Thus, if you are seeking the perfect router that will do all the tasks there is – from the common routing task too huge profiling cuts, mortising, and dovetailing – then the best machine for your needs would be a medium-sized one. For versatile woodworking tasks, a medium-sized router is the best for both hobbyists and DIYers as well as professionals. The Dewalt DWP611PK is our top choice for the best plunge router, and though the other models are not far behind, this model stands out from the rest. The LED lights are in perfect position for your path. The plunge base is easily adjustable – just a smooth press with the lever and the hold is released with ease. Shifting from a fixed base to plunge base takes just a few seconds. Bit depth adjustment also works well – nothing could be easier. And the best part is, you can buy it at an affordable price on Amazon. We recommend the Dewalt DWP611PK. But if you have other choices, then that could work as well. You can, after all, refer to our buying guide and choose one which you think will work best for you. Feel free to share your thoughts in the comments if it pleases you.